We consider the multipurpose WordPress Themes presented here to be among the very best on the market today. Many of them are fairly well established, while a few have only come on the market recently, but these newcomers have already gained a reputation for flexibility, ease of use, overall quality, and excellent customer support. Although virtually any theme will have its strong points, as far as useful applications are concerned, we always try to include a few that would be ideal for creating specific categories of websites, and we have done so here. The others, including those at or near the top of the list, are ideal for just about anything. We hope you find a theme that perfectly fits your needs. The competition can be fierce, but more than a few users will tell you X Theme is the premium multipurpose WordPress theme on the market today. The soon to be released Version 4 is likely to solidify, if not enhance, that view. Building a page using this theme is already incredibly fast, and the new front end page builder included in Version 4 is even faster, and every bit as user friendly. This theme, as a whole, is the most versatile theme on the market today. Its diverse collection of elements is continuously being updated, and it is fully supported by Themeco. 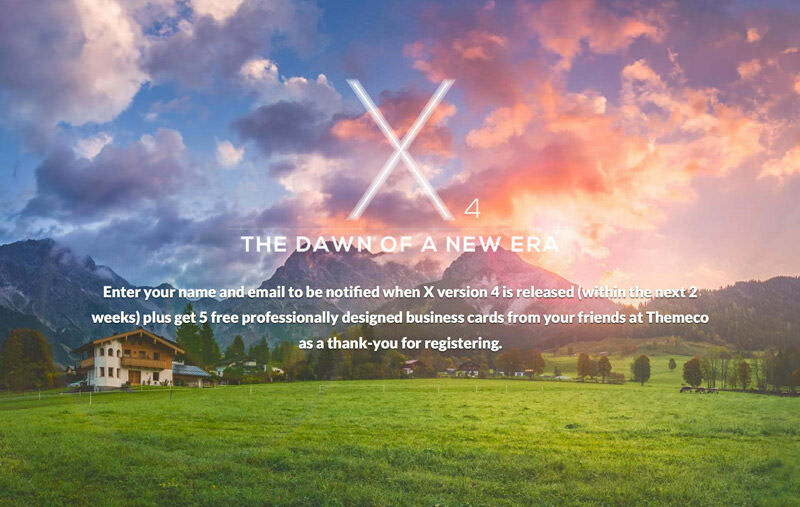 X is ThemeForest’s all-time fastest selling theme, and that is not likely to change when Version 4 comes online. You don’t have to wait for the update if you plan to purchase X. If you were to purchase it today, and Version 4 arrives tomorrow, next week, or next month, it will be yours for the asking. Once you purchase a premium theme like X, subsequent updates are free, and support is free as well. 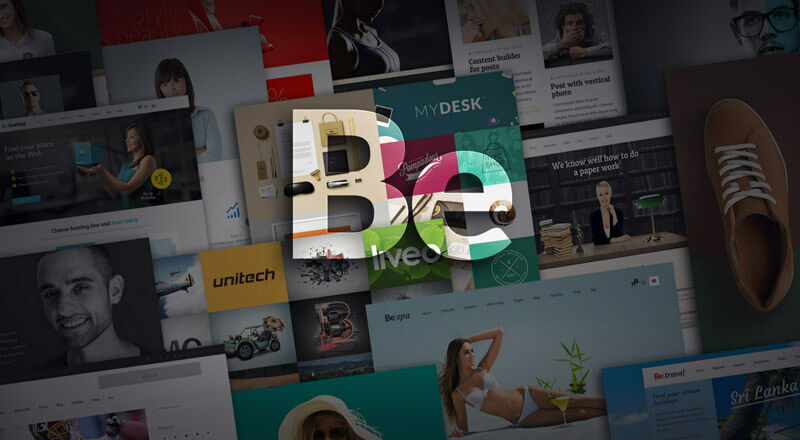 Be Theme is truly the biggest theme ever, with its more than 100 ready-to-use, pre-made layouts, and its multiplicity of features. Bigger does not always mean better, but this theme is definitely an exception. As it has grown in size, the excellent quality of the underlying code, its speed, flexibility, and ease of use, have grown right along with it. Be has set a standard that most other themes can only look up to and attempt to emulate. This theme can be used to create any type of landing page or website, and it is the ideal choice if you have a business website in mind, as it lends itself well to the creation of professional-appearing web pages. It should be mentioned, that in addition to having access the vast collection of layouts, you have the option of making your own, quickly and easily. Take the time to view one of Enfold’s demos, and you will quickly discover that, what initially appeared to be just another front page, is actually a concept. This means it is something you can really work with to get a web page creation off to a fast start. If you can find a demo that features a concept similar to the purpose of your website, so much the better. With Enfold’s drag and drop layout editor however, you will get off to a quick start even if you do not have a perfect demo to start with. If a concept-rich theme is what you have been looking for, this theme would be a perfect choice. It is an ideal theme for creating a professional or business-oriented website, and when integrated with WooCommerce, you can have your online store up and running in no time at all. This premium theme is definitely worth your consideration. Enfold is the highest rated top seller on Themeforest. WordPress made a concentrated effort to go global by incorporating multiple language support in WP 4.1. 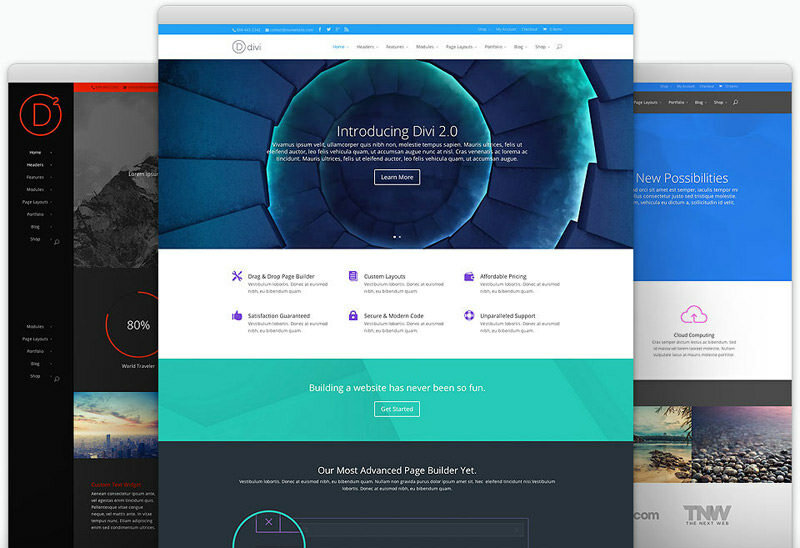 Not all themes have followed suit, but Divi, sensing the many advantages of enabling its users to create global websites, quickly followed suit, and as a result, it has become one of the most popular WordPress themes ever. Features include more than 20 pre-made layouts plus the ability to create your own using Divi Builder. Like all the top-selling themes, Divi is constantly being updated to add new features, improve performance, and eliminate that vanishing species once referred to as bugs. Kallyas is extremely user friendly, and it offers greater flexibility than the majority of its closest competitors. Its code is clean, but you don’t have to examine it to prove it. This theme’s more than 13,000 users, and its use on over 14,000 websites says it all. 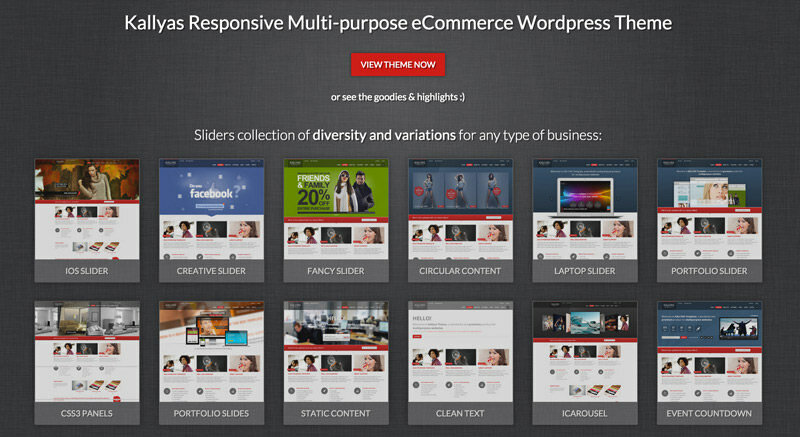 It is a super-fast, error-free theme, featuring a powerful drag and drop page builder, and multiple slider variations, Kallyas is WPML ready, and WooCommerce plugin, Bootstrap, and WordPress 4.x compatible. This responsive, retina ready theme has features that make it idea for creating non-profit, charitable websites, hence the name, Philanthropy. An all-purpose theme might serve you better than one having powerful features you don’t need, but this WordPress theme is extremely flexible, highly customizable, easy to use, and fully capable of serving the needs of most website developers quite well. By opening a no-obligation account, you can take advantage of a free trial to see what it can do for you. Headers can sometimes be headaches. Some themes address this problem by providing a small selection of headers. Circle Flip features a unique drag and drop header builder, saving you the trouble of looking for a header that best fits your needs. There are unlimited used for this theme, but if you have a travel-oriented website in mind, or a customer of yours who owns a travel agency is looking for a better online solution, Circle Flip would be an excellent choice. Layouts that accompany this theme address a variety of potential uses, ranging from Ecommerce, to magazine and professional services uses. 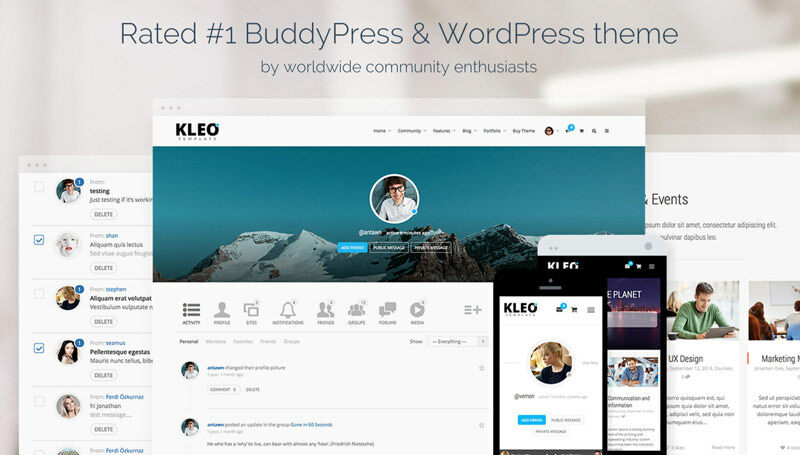 If KLEO is indeed the best-selling social network theme of 2015, as has been claimed, there must be a reason for it. The fact that it was developed as a social network theme has something to do with it, but its easy integration with Facebook, as well as with the BuddyPress social networking plugin, are what makes the difference. The BuddyPress plugin enables you to incorporate an array of community features into a website. Using this community-oriented theme can make the difference between having an online store that yields occasional income, and having one that features an awesome sales record. Decor is WooCommerce-ready theme that is best suited for product-oriented and business websites. It is retina ready and responsive, compatible with Bootstrap 3.x, and cross-browser compatible as well. Decor utilizes Visual Composer, the Visual Shortcode editor, and it is also WPML ready, if your plan includes creating a multi-language site. The online documentation takes more time to view than does a demo, but it offers a good idea as to how Decor’s features work. Flatpack is relatively inexpensive, but the fact that it has been a featured product on ThemeForest, along with having received some very positive reviews, suggests this is a high quality product. Version 2.0 has just been released, bringing the total number of landing page layouts up to 16, all in a single template! A collection of PSD mockups is also provided. Note: Flatpack only works with unbounce.com. 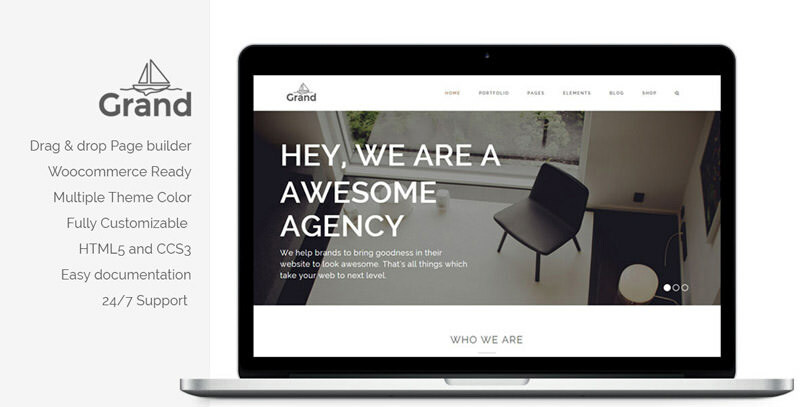 Grand is oriented toward business and corporate websites, agencies, web development studios, and online portfolio sites. Nevertheless, its drag and drop page builder will enable you to create virtually any type of landing page or website you choose. There are currently four demos you can view, including a Demo Shop, to see if this theme would be a good choice for you. Grand is WooCommerce 2.3.x and WordPress 4.0 and 4.1 compatible. Basic may or may not be the right name for this WooCommerce theme, since it contains all of the usual WordPress responsive theme features, including Visual Composer and Revolution Slider. Basic currently offers 3 different demos that illustrate the theme’s effectiveness when used to create a fashion shop, a clothing store, or even a toy store or a stationary shop. The theme does not support high resolution display, which may or may not be a drawback. 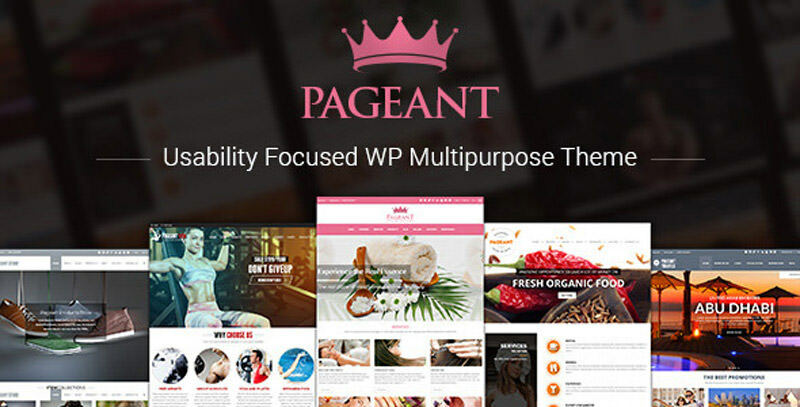 Pageant features a wealth of features, mobile-friendly and responsive layouts, and an advance options panel coupled with page builder if you choose to build your own layouts. The creators of this theme claim it is super user-friendly, and they offer a free demo to prove their point. Boxed or wide layouts, RTL, and LTR are only a click away. Initial reviews for this theme have been uniformly positive. Jkreativ would be worth considering as for a shop or product-rich Ecommerce website, and for use by a brick and mortar store as well. Full-screen maps with direction instructions, super-sharp images, and a 360-degree image slider, are among this WordPress themes many features. You can even add a musical background, with a different melody for each page if you wish, and Jkreativ has recently added Visual Composer. A demo is just a click away. We feel our listing offers a good selection of multipurpose WordPress themes. We hope you agree, and we hope you have been able to find something to your liking, or at least come across a theme that has piqued your interest. If so, please leave a comment and let us no. If what you are looking for is missing, let us know that as well. Either way, we would enjoy hearing from you.